Environmental concept trekking Tatra mountains, quick speed painting. This video tutorial shows you how to paint snow mountain. It is a digital painting tutorial using Photoshop and Wacom tablet. You can scroll down below to see step by step images with instruction. 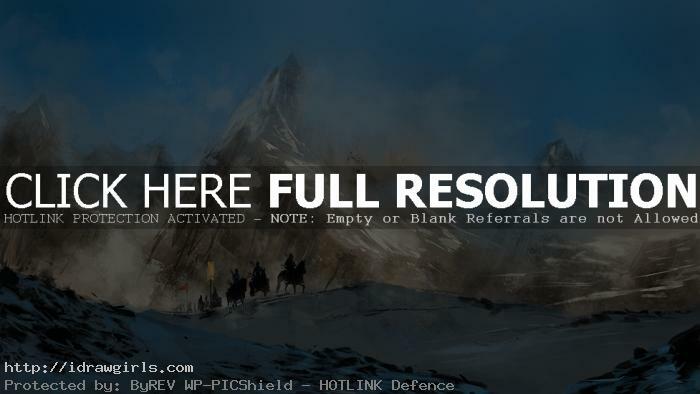 In this post, I am painting a conceptual art of the Golden Horde trekking in Tatra Mountains. If you have read my blog or follow my art work for some time, you probably know that I am fascinated with the Mongol hordes. I love all mythologies and real world history. I painted many historical concept art about them. I love their journey and conquest, even though they kicked my Chinese ancestors’ butts and conquered us for hundreds of years. Even though they were very violent and brutal but I still love the story, legend and historical tale about them. Anyway here is an environmental concept, Golden Horde is trekking Tatra mountains. In this quick painting, I visualize how the Golden Horde roamed through Tatra mountain range in winter before invading Poland. The Mongol Invasion of Poland from late 1240 to 1241 culminated in the battle of Legnica, where the Mongols defeated an alliance which included forces from fragmented Poland and members of various Christian military orders, led by Henry II the Pious, the Duke of Silesia. If you pay attention, you will realize that the most important things are three big shapes (foreground, mid-ground and background) before anything else.